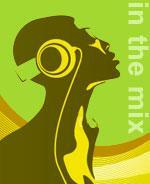 In February 2004, four of GFM’s management committee attended a two-day community radio conference in Manchester. During the conference it became clear, this was to be the year that would decide the future of community radio and stations like GFM who have been broadcasting on 28 Day Restricted Service License to their local communitities. Soo Williams from Ofcom informed those at the meeting that the Access license would be for 5 years, and would only be given to registered not for profit organisations. The license application forms would only be available for a three-month period from June – August; this was subsequently changed to September – November 2004. The announcement was what GFM and other community radio stations had been working towards, however, 2004 was now going to be a challenging year for the management committee. A project plan had to be drawn up for the summer broadcast, as well as preparing and submitting funding applications, which if successful would cover the cost of the summer broadcast. It was also vital that GFM was in a position to apply for one of the 5-year license that would be available. The conference inspired the management committee to set about the task that lay ahead, in particular to set up a conference / stakeholder meeting to present GFM’s plans for the future and to seek financial support from new and existing funders, as well as support in kind. To help GFM prepare for it’s full time license application GFM, with funding from Gloucestershire County Council, contracted Community Media Solutions to carry out a comprehensive assessment of GFM and to help the management committee to prepare its business plan. The business plan was crucial to the license application, broadcasting for 365 days instead of 28 days was a significant step up, nonetheless no stone could be left unturned when the assessment was being carried out. The initial findings were in line with the committee’s thoughts; the committee now had confirmation of what work had to be done and set about doing this very important work. In the mean time there was the summer broadcast to organise, and in some areas some things were not going to plan. Not being able to purchase the transmitter equipment meant hiring again, when you hire you don’t know if what you’ve requested is what you are going to receive until it arrives. Unfortunately this year, the transmission equipment that is normally hired was damaged and another model sent instead, without GFM being notified. The different type of transmitter was changed twice before the broadcast, and repairs were being carried out hours before the broadcast commenced when it was changed the second time. When the transmitter was turned on at 12.00am on Monday 12 July, no one knew what to expect. Unfortunately, there were poor signal reception in some areas of the city. This was a backward step for GFM and there were numerous complaints received from members of the community who were not able to pick up GFM clearly this year. Purchasing the transmitter equipment is a must for future broadcasts and GFM owning its own would also have put GFM in a better position with the application for the full time license. The number of people involved with GFM this year was fifty-six people. Forty-three presenters and volunteers, eight-community link crew, five-management committee. There were fourteen people from the age of sixteen to twenty five and the rest from twenty-five upwards. Since the start of GFM five of the young people from the community link crew have gone onto university. This year three more went to university, being a volunteer on GFM has helped to build up their confidence to pursue their aims and aspiration, it’s particular pleasing that one of them is studying a media course at Roehampton University in London. Furthermore, GFM can take pride in the knowledge that it offered an opportunity to a young man that has become a presenter on the BBC digital Black Music station BBC1Xtra. Young Lion joined GFM during the black history month broadcast in October 2000 and as improved with each broadcast, we are delighted at the progress he has made since joining 1Xtra and wish him continual success in the future. GFM welcomed some Children from Widden Primary School to the studio; the children were given demonstrations on the use equipment and even interviewed their head teacher Mr Tim Cooper. GFM presenters Action Jaxson, Fade, Callide, Willie G and Carol Francis made the children welcome and Demonstrated how the equipment works. We had hoped to set up a web camera to enable our community to see presenters / volunteers in action, but were hindered with problems relating to the website, therefore this never materialised. However, we are in the process of redeveloping the website and the web cam should be installed. When someone is invited to become a volunteer / presenter on GFM he / she is encouraged through capacity building. Building up confidence and coupling it with training. We‘ve found it has have been particularly helpful to volunteers / presenters who have no experience in broadcasting and have progressed from being a volunteer or shadowing a presenter to presenting their own show, this is a big step up, and it is not always possible to have someone on hand to support everyone as and when support is requested. We are delighted that GFM’s training manual is now complete and is available for presenters to refer to while in the studio. Unfortunately due to financial constraints we were not able to issue each volunteer / presenter with a copy. The manual includes diagrams of the various IT functions and written information for using most of the equipment and includes a drawing of the main mixing desk and identifies each button and indicates what its function is. With GFM now having its own studio equipment, we were able to provide live training broadcasts on the Internet, culminating with the live broadcast of the radio airwaves. The Internet training broadcast was well received by those who took up the offer. GFM was once again able to offer the five-day Open College Net-Work accredited radio production training to fifteen volunteers / presenters for this years broadcast. This year 6 Members of the community responded to the offer of media training, offered via the Citizen Newspaper, from as far away as Worcester. Unfortunately, GFM was only able to offer training to two people due to funding. Our training partners CEED, Multi Media Centre, Bristol, again delivered training. Gloucester Crime and Reduction Partnership sponsored the training in 2004. The partnership with GCRP and GFM has been invaluable. Our thanks to Mrs Pat Dabbs for continuing to come on GFM to keep the community informed of the work of Gloucester Crime and Reduction partnership. GFM’s own in house training team once again worked hard to train new and existing presenters on using the equipment. It is appropriate that I take this opportunity to formally thank the trainers for the time and effort put into training and supporting the new presenter. Nonetheless, in 2003 presenters used for the first time the Enco Dad pro IT system, it was a trial and error situation, despite getting training from Enco Systems. Following the broadcast in 2003, GFM’s IT group were able to get a betters understanding of the IT equipment and as a result of numerous in house training sessions, members of the group were able to train new and existing presenters, well done to everyone in the IT group, however, I must say a special thanks to John Mustoe, GFM’s vice chair for taking the lead role in the development and training of the IT group. Being able to interact with the community live on air is very important to GFM, because it gives the community the opportunity to have it’s say on what it likes, what it does not like and give ideas on the way forward. This year there were 2600 text messages, 560 phone calls and 268 emails. Gloucester FM’s involvement in the 2004 festival was not what we had hoped for, for numerous reasons. We met with Caroline Leverton one of the festival organiser to see how GFM could be more involved in 2004. Members of the Caribbean community have been quite vociferous in requesting that GFM lobby the festival organisers for the return of the Caribbean night to the line up of two-week festival. Many of GFM listeners felt this was the highlight of the festival and was one of the reasons why they were not visiting the festival anymore. GFM believes the Caribbean night also gave the whole community the opportunity to sample a small piece of the Caribbean carnival atmosphere once a year when joining in Jamaica’s independence celebration in the past, therefore GFM’s committee and presenters were happy to help the festival organisers with putting on the Caribbean night. However, it soon became clear funding for the return of Caribbean night would not be available for 2004, but the carnival night would be considered for 2005. Nonetheless, we were delighted when Andrew Mitchell-Stead asked GFM to provide background music from the bandstand on the opening day of the festival. This was a chance for the station to do a publicity launch prior to going live on air Monday 12 July. Little did we know we would have problems getting the new GFM banners ready in time for the opening Saturday of the festival. I am so grateful that Emma Gentry from the community link crew came to the rescue and bought the banners from Bristol on Friday 9 July for us to have on display on Saturday 10 July, our sincere thanks to Emma and the Joe Public Crew for the help. The GFM banner and display was put up right in front of the bandstand, Dan Robertson, Freddie and I wore our new GFM t-shirts and set about putting the people on the floats in the carnival mood, unfortunately the hot carnival weather was missing, but Callide and Freddie did an excellent job entertaining those who braved the weather. It was wonderful to see so many people come up to the bandstand and talk to us, there were even requests for autographs. I must congratulate everyone involved in organising the PA equipment for GFM to use and the engineers who made sure GFM could be heard clearly from the bandstand. We look forward to the festival in 2005 and will continue to lobby the festival organisers on behalf of listeners for the return of the Caribbean night. We were very disappointed that we could not get any of the local nightclubs to work in partnership with GFM and allow presenters to play the music live to the community. However, the end of broadcast party was held at the Brunswick Park End Road and was well attended, this further confirms the need for a bigger venue, Nevertheless, our sincere thanks go to the management and staff at the Brunswick for the continued support and for giving some of the presenters the opportunity to play live to the community on a regular basis even when the station is not on the radio airwaves. GFM’s new presenters did very well and we are extremely proud of them and I must extend our thanks to the volunteers who supported them. However, GFM envisage offering more of the different genres of music of black origin in future broadcasts if possible, and will continue to seek presenters to do this. Overall, the year’s broadcast can be deemed a reasonable success and it has become obvious that other local radio stations are taking notice of us and are attempting to do what we are doing. This is confirmation that we are doing something right, However, GFM is voluntary organisation and is run by local people and is in tune with the local community that it serves, with the people for the people radio, this we believe makes GFM unique. Kingfisher Church continues to work in partnership with GFM and has provided spiritual and financial support. Our gospel show presenters Vere Richards, Hyacinth Walford and Martin Wallace work with local churches in the community to provide music, news, information and advice that is in my opinion second to none. Jamaican Independence day was celebrated on August 6 with Jamaica day on GFM. Jamaicans celebrated 42 years of independence all around the world, unfortunately this year the station did not have the resources required to really interact with the community in the way that it was envisaged. It is hoped that future Independence Day celebrations and Jamaica day will be more cohesive. GFM strives to meet most or all of its objectives during each broadcast; we are of the opinion that we have met most of them. Our website has gradually developed into the GFM story and we are extremely grateful for the time and input given to us by Andrew Clarke at Spheara Interactive Media. GFM has grown significantly since the site was first developed and now needs a complete re-design. We are very grateful to Dave Phelps for the help he gave us with the website in 2003, without his help, GFM would have struggled to get the site updated. Furthermore, due to technical problems GFM was not able to participate in the national celebration of black history month in October with an Internet broadcast in 2004, this was very disappointing. However, GFM will keep plugging away to get things up and running once again properly as soon as funds are available. GFM are also thankful to all it’s presenters and volunteers from the past to the present for giving up their time and making the commitment to serve our community, and all the listeners for the continued support and comments. Without a shadow of doubt securing the full time license is the way forward. GFM has grown with each broadcast and it became harder in 2004 to secure funding for another 28 day Restricted Service License broadcast. The same question is asked after each broadcast. “Why can’t GFM broadcast full time, the answer was, there was not a license to broadcast full time before, but there is now. GFM has applied for the full time license but, unfortunately stations like GFM that have applied will not be informed until sometime in 2005. At the Community Media Association AGM held in Birmingham in November 2004 stations that had applied for full time licenses were told to still apply to do RSL broadcast in 2005. Should GFM be successful, what better way to inform the community than to be live on air, if the application is not successful, the community will still be able tune into the unique sound and vitality of their local community radio station and hear the reasons why GFM was not successful with it’s application. Running the station full time will be a significant step up from 28-day broadcasts and will mean that some things will be different. However, working with Community Media Solution has helped GFM to plan and prepare for the possibility of full time broadcasting. The board has assessed it’s needs for broadcasting full time, and the most noticeable is additional space that will be required is a training studio. 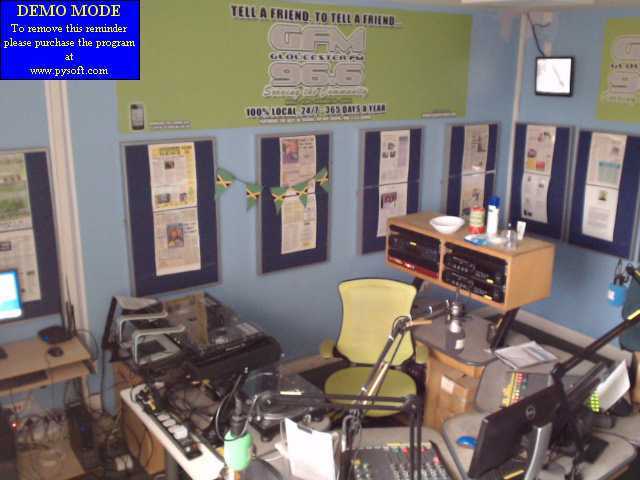 It is hoped that GFM can continue to remain at The Trust Centre for the foreseeable future; The Trust Centre is where GFM started to broadcast to the community in October 2000 and has been ever since. The transmitter equipment has been secured for the full time license; however, transmitter equipment will have to be hired for the proposed summer restricted service license broadcast in 2005. A different type of transmitter equipment is required for RSL broadcast, so this equipment will be hired. The stakeholder meeting held in October 2004 attracted various organisations, it is hoped the organisation and businesses that attended will support GFM financially as well as in kind should the full time license be secured. The future for GFM is one of excitement and anxiety, however it is important not to forget what has helped to get GFM this far. Music, News, Information, and Advice. GFM must continue to try to widen the choice of music of black origin being played to enable more interaction with the community, for example Ska / Rock Steady, Blues, Jazz and to remember Black Musicians like Jimi Hendricks, Edwin Starr, Ray Charles. For the month of July 2004 there were 164,223 hits on the website, www.gfm.org.uk this confirms the community supports GFM. In July 2003 there were nearly 130,000, in July 2004 there were nearly 40.000 more hits than 2003. Gloucester FM is with the people for the people, serving the community full time we believe is the way forward. with the community live on air.